Frank Kalter, Prof., Dr. phil., is a Professor of Sociology at School of Social Sciences and the Mannheim Centre for European Social Researh at the University of Mannheim since 2009. He studied mathematics and sociology at the University of Cologne, and received his doctorate and habilitation in sociology from the University of Mannheim. He held a chair of sociology at the Institute of Sociology in Leipzig from 2004-2008. 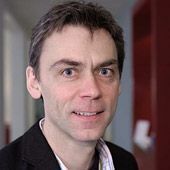 He was a visiting fellow at the Office of Population Research (OPR), Princeton University, and at Nuffield College, Oxford University, and "Reinhard Wippler visiting professor" at the University of Utrecht. Frank Kalter is a member of the German Council for Social and Economic Data (RatSWD) for the 2008-2010 term. His major research interests include migration, integration of ethnic minorities, methods, and formal models. Frank Kalter joined CReAM as an external fellow in May 2010.